Zamalek overcame Hassania Agadir 1-0 in the CAF Confederation Cup quarter-final second-leg match at the Egyptian Army Stadium in Egypt on Sunday. As a result, the Egyptian side progressed to the semi-finals after winning 1-0 on aggregate, while Moroccan outfit Hassania bowed out of the tournament. The White Knights had been held to a goalless draw by Ghazelle De Sousse in the first-leg clash in Morocco last weekend. The hosts were forced to make a change just 16 minutes into the game as Ferjani Sassi went down injured and he was replaced by Mohammed Ibrahim. Khalid Boutaib had a chance to hand Zamalek the lead in the 18th minute, but the lanky striker placed his header wide of the target. The White Knights were able to create chances which they could not convert as Ibrahim failed to beat Abderrahman El Hoausli in Hassania goal in the 31st minute. The score was 0-0 at the interval with Hassania having contained Zamalek in the first-half. The White Knights pressed Ghazelle De Sousse after the restart and they managed to break the deadlock through Ibrahim Hassan. The 25-year-old midfielder beat El Houasli with a decent finish to make it 1-0 to Zamalek as the hosts' pressure finally paid off. However, Zamalek stood firm at the back in the closing stages of the match and ultimately, they emerged 1-0 winners against Hassania on the night. Zamalek won 1-0 on aggregate. Zamalek: Gennesh, Nagguez, Alaa, El-Wensh, Gomaa, Sassi (Ibrahim 16'), Hamed, Hassan (Abdel Azizi 88'), Obama, Kahraba (Al Ahadad 73'), Boutaib. 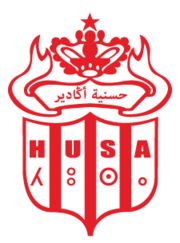 Hassania: El Houasli, Daoudi,Rami, Bouftini, Baadi, Bennani (El Berkaoui 59'), Kimaoui, El Khanboubi, Chaouch (Markovic 86'), Seyam, Alfahli.